The West Yorkshire Combined Authority (WYCA) is celebrating the opening of the region’s third new railway station in 16 months. Following the launch of Apperley Bridge and Kirkstall Forge, the combined authority has now opened a third, Low Moor station – a £10.8 million railway station that is expected to serve half a million passengers a year. The latest station, which is situated between Bradford and Halifax on the Calder Valley line, opened on April 3 and will connect passengers to Bradford in eight minutes, Halifax in 10 minutes, Leeds in 30 minutes. 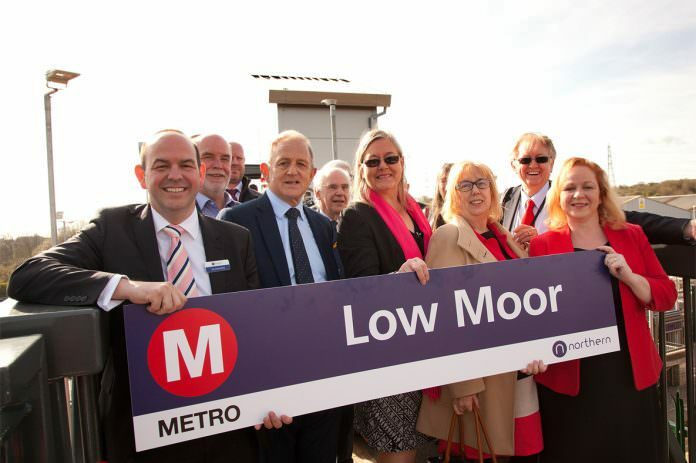 Located near to the M62’s M606 Junction 27, it is hoped the station will help to ease congestion in neighbouring Bradford, Halifax and Leeds by encouraging people to use the park and ride service. Northern will provide the local train services and Grand Central will provide four direct trains per day to London King’s Cross station. The WYCA opened Apperley Bridge, which is used by more than 20,000 people a month, in December, 2015. The following June, it opened Kirkstall Forge, which is reported to have exceeded its forecast of 20,200 annual passengers in the first five months.